You want to be a part of our milsim unit? Apply this very day! 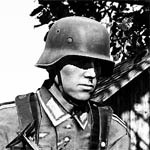 Are you interested in a realistic and professional WW2 unit? The 2.Panzer-Division is a Wehrmacht 'Milsim' unit for Bohemia Interactive's latest title, ArmA III. Our campaign and event operations span the period of the Second World War. For more information about the history of our unit, as well as details about our structuring and equipment, feel free to check out the rest of our site. If you wish to become part of the unit, click the button above to be redirected to the application page, or click "Enlistment" in the navigation bar up top. Our operations focus on cooperative gameplay. Structure, tactics, and weapons are based on actual military documentation. We strive for a mixture of accuracy and entertainment, and will edit and update areas of the unit as aspects change such as mods and terrains. 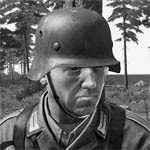 The 2.Panzer-Division is a Wehrmacht virtual milsim unit, for the latest Armed Assault title, ArmA III. 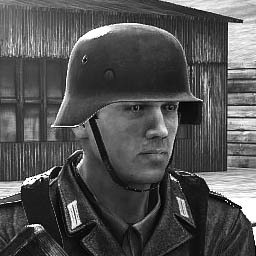 The bulk of our previous experience has been in the Invasion '44 mod for ArmA 2 and the Red Orchestra series of games. How much is historically based? For the structure of our campaigns, we use original manuals of the period in order to conduct our missions as realistically as possible. This includes the size of the group, the weaponry issued, as well as the tactics and formations used during the conflict. Yes. 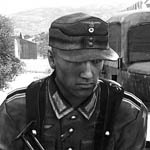 To provide a more complete experience of the World War 2 setting, we use the relevant mods that are required in order to provide the best experience. These mods affect uniforms, equipment, vehicles, maps etc. The mod collection and installation instructions will be provided when enlisting. Where are you primarily based? The majority of our members are located in Europe. We will accept anyone on the globe, so long as their time zone does not significantly inhibit their ability to participate or otherwise cause them too many problems. Do you only speak German? Primarily we do not, there is only a small amount of German phrases and terms that will be used for formations and immersion, everything else is conducted in English. Is there an age requirement to enlist? No, we do not wish to exclude members of a lower age, but we expect that all members demonstrate the same level of respect and maturity in all situations. I've only recently bought ArmA III, will this be an issue? Not at all. We accept players of any skill or experience level, and all necessary information to brief new players on the basics of the game and our unit is provided through our manuals. Is a Steam community account required to enlist and participate? Yes. In order to communicate to our members easily, we use Steam for announcements and social communication. You must have a Steam community account to enlist. Do you only play ArmA III? Officially, we are fixed to using ArmA III and it's avaliable content and modifications. Unofficially, we conduct regular gaming sessions in a variety of titles throughout the week. Are we free to record our operation sessions? Absolutely. We encourage members to record and take screenshots to contribute to media for the website, and for valuable intel on our internal campaigns. Do you play with 3rd person view? "The battle is going very heavily against us. We're being crushed by the enemy weight. We are facing very difficult days, perhaps the most difficult that a man can undergo." The upper leadership, the council, is generally kept low in number to minimize the time to make decisions and the arguing. The council only deals with large overreaching decisions, such as the moveover from one game to another. Other than that, they also deal with internal disputes in the unit, and the majority of the administration, server maintenance and communication with other people outside of the unit. Leader of the company, responsible for general organisation and historical research. Zugführer, responsible for training schedules and content. Responsible for server maintenance and general organisation. 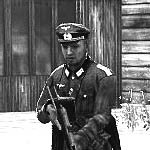 Gruppenführer, responsible for missions, server and maps. Gruppenführer, responsible for graphical design, website and server. Thank you for your interest in our unit! For us to get to know you, as well as checking to see if you are eligible for joining the unit, please fill in this application form in order to enlist in the recruitment program. After your application has been received, we will contact you via Steam to arrange an interview. Information concerning our unit, equipment, mod list, and contact details are found in the corresponding sections of this website. Please feel free to read through them before applying. If there is anything you are unsure of or confused about, please include it at the bottom of your application and we will answer any questions you may have. Are you able to participate in events on Sundays at 7PM GMT (8PM GMT+1, 2PM EST)? Were you dishonorably discharged from any of the above Units/Clans? Do you have a working microphone or headset? 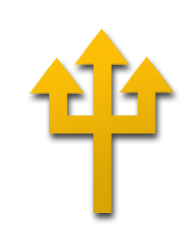 Are you willing to invest the necessary time (1-2 hours) to ensure that the used mods are installed and working correctly when recruited? "You hit somebody with your fist and not with your fingers spread." "The first demand in war is decisive action."